How to boost WIFI signal for your wireless IP camera - A blog about IP video security solution. If you are installing wireless IP cameras for home security, or if your wireless cameras keep dropping off the connection from your WIFI network, what should be considered firstly is the WIFI signal issues in your home. We recommend a signal test before your buying wireless IP cameras. How to test my WIFI signal? 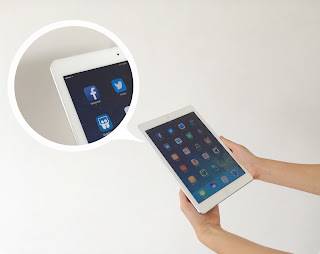 Simply you could use your smart device, stand right below the location and check out the WIFI connection icon on the screen. “Excellent” or “Good” means the location is ideal for installing 720P wireless IP cameras. You can also pretest the signal strength by 3 steps. Step 1.Draw out your home blueprint and note the location of cameras. Step 2.Draw a straight line between your wireless router and the location. Step 3.Count the amounts of internal walls. Materials like walls and doors can degrade signal strength, which slows your WIFI speed. 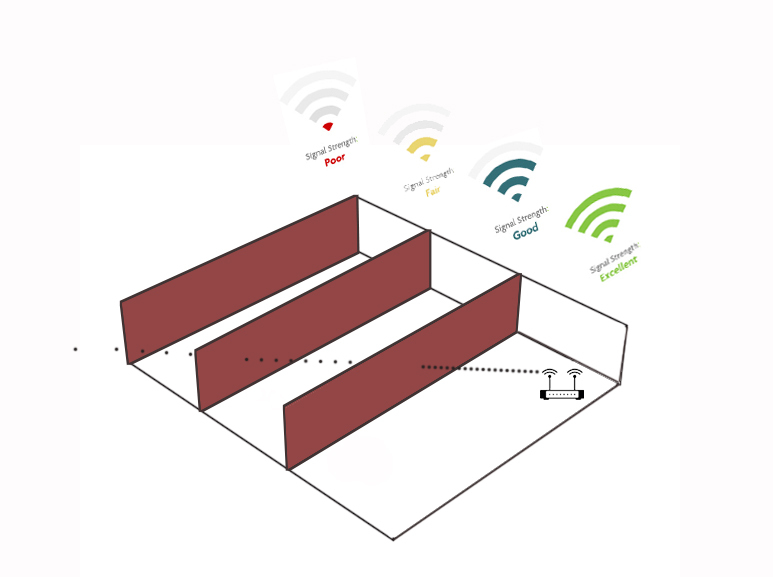 Understanding How Barriers Affect Wireless Signal. How to boost my WIFI signal? Put your wireless router high and central in appropriate location. Don’t hide your router in covert places. Wireless router has a range of limited coverage. If your cameras are out of the range, using a WIFI repeater can be the option. It is used to extend the coverage area of your WIFI network. All you have to do is to plug the WIFI repeater into any outlets and ensure the WIFI repeater can receive your existing WIFI network. 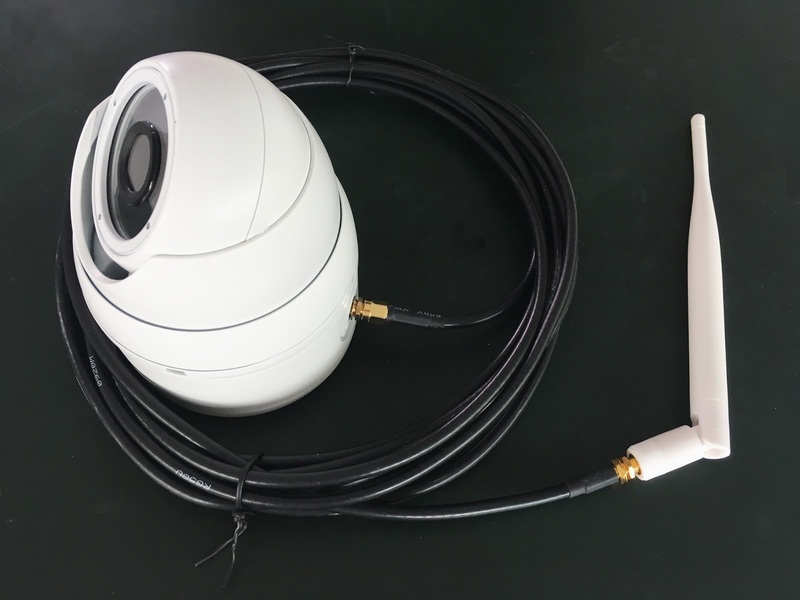 Now that we learn materials at home make interference on your wireless IP cameras, there is another solution to boost the signal strength by using extension cables for your cameras. Extension cables are used to extend the WIFI signal reception range of your cameras. 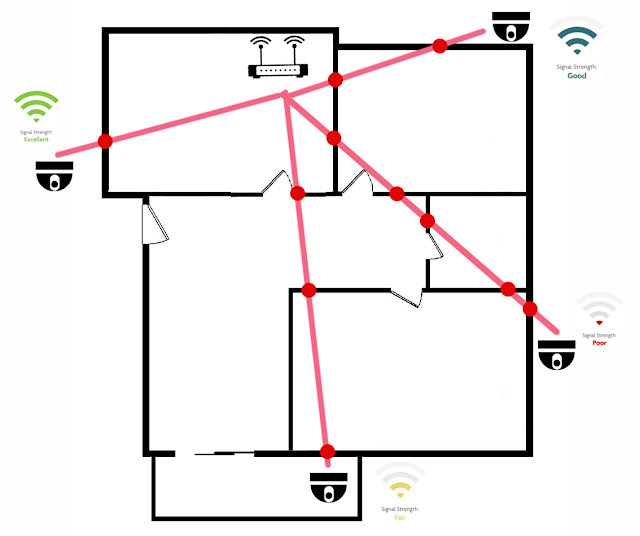 Running extension cables helps minimize the amounts of internal walls between the cameras and your WIFI router. It is optional and all depends on the location of your cameras. Use a power line Wi-Fi adaptor. Normally it has transmitter and receiver works in pair. Find out how power line WiFi adaptor can carry the network signal for your WiFi IP camera. I have an IP camera system with multiple cameras which feed into a Network Video Recorder. It is a stand alone system, all wireless. The NVR then feeds into my router. I do not need to boost my router signal, I need to boost each individual IP Cam. How do I use a wifi extender for my IP cameras (not my router). I am having a very hard time with this. I appreciate your suggestions within this article about improving the camera signal but none of them are about using a wifi booster for each camera. I've tried using antenna extenders, etc but they simply don't help. I am afraid you are unable to boost up for either ip camera or NVR directly. It is standalone system which doesn't allow to insert any external hardware without coding the driver. The common solution is we use private protocols to boost the signal between the WiFi camera and the NVR. You should find the solution in the WiFi NVR kits. The WiFi Cameras only work with that WiFi NVR over WiFi signal. The WiFi camera can't connect to your WiFi router as the private protocol is applied. Just want to clear what i mentioned above is WiFi system, not the 2.4GHz wireless system.